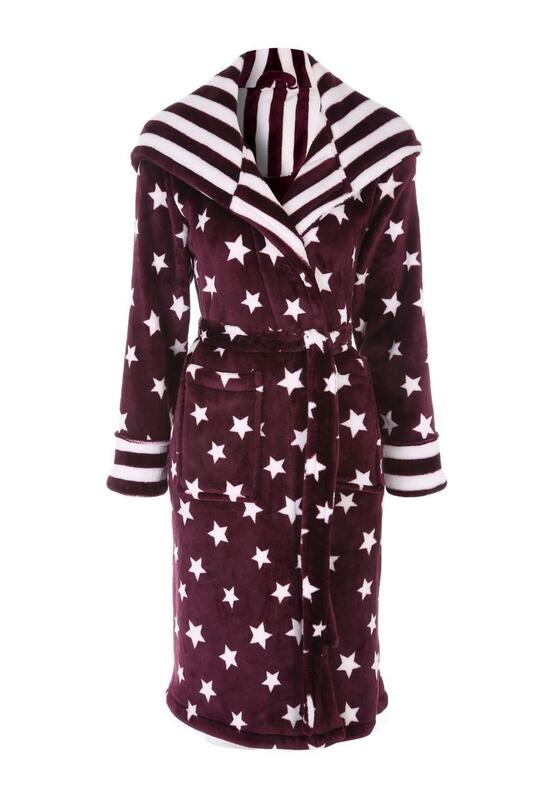 Keep warm and comfortable this season in this printed dressing gown. Featuring an all over star designs with striped cuffs and hood, it's perfect for colder nights. This robe is tie fastening and has two front pockets and a functioning hood. Brilliant! Super quality and value!